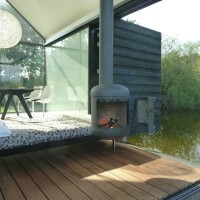 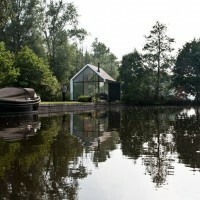 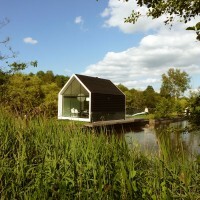 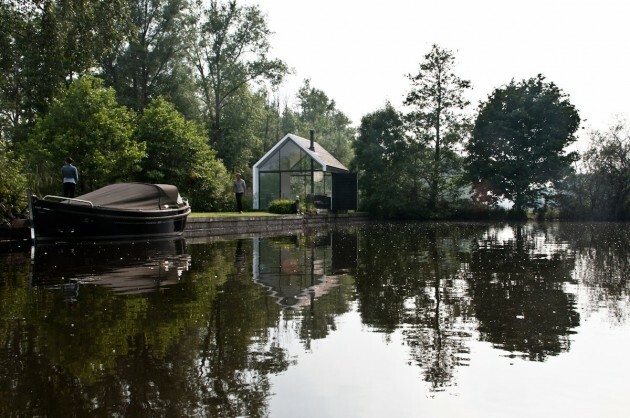 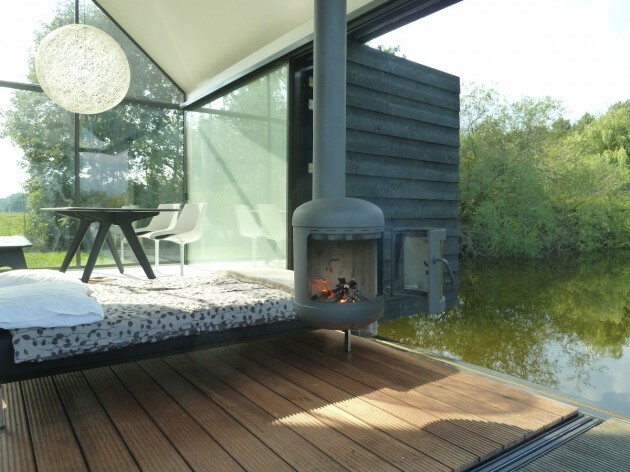 2by4-architects designed the Recreational Island House in the Dutch lake area ‘Loosdrechtse Plas’. 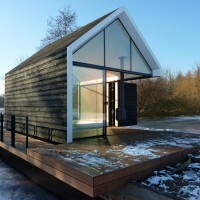 On an island of 5 by 100 meters in the Dutch lake area ‘Loosdrechtse Plas’ 2by4-architects designed a unique recreational house. 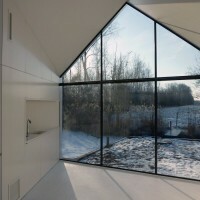 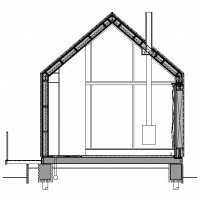 The house is a subtle frame that captures the view from the inside out and outside in. 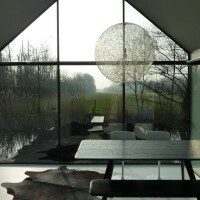 Completely anticipating on the client’s needs 2by4 has designed the house in such a way that it can customize the interaction with the surrounding nature. 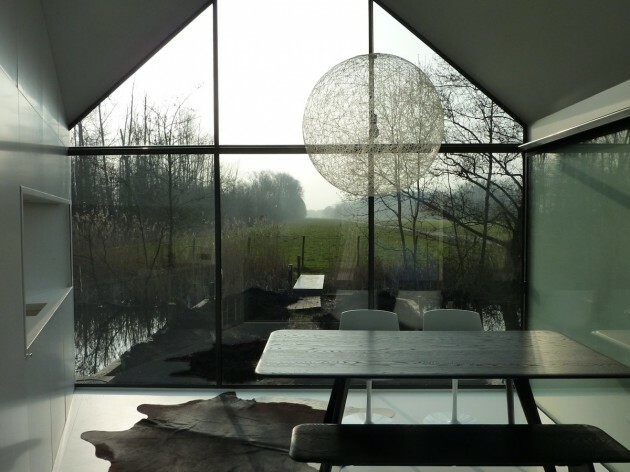 One of the glass facades can be completely opened so that the wooden outdoor terrace becomes part of the interior. 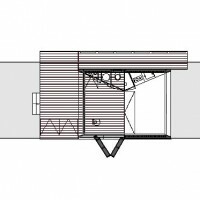 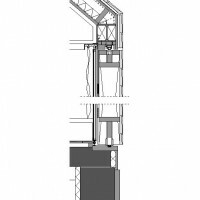 To even more lift the inside-outside barrier the dark wooden facade can be folded open, creating a panoramic view to nature. 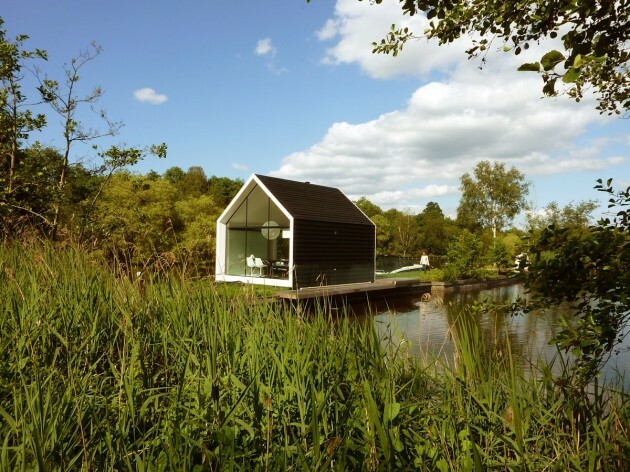 The folded facade becomes an abstract perpendicular element that floats above the water. 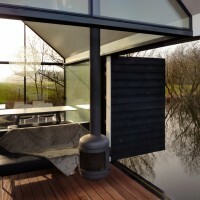 By opening this part of the facade the wooden floor of the living area is now directly connected to the water enabling the inhabitants to access the lake from the living room.